Remember that box that came home with me from Seattle? I finally cracked it open. I wanted to make sure that I had spun and knit off of my spinning wheel before my first spinning seminar at Maryland Sheep and Wool Festival, upcoming next week. 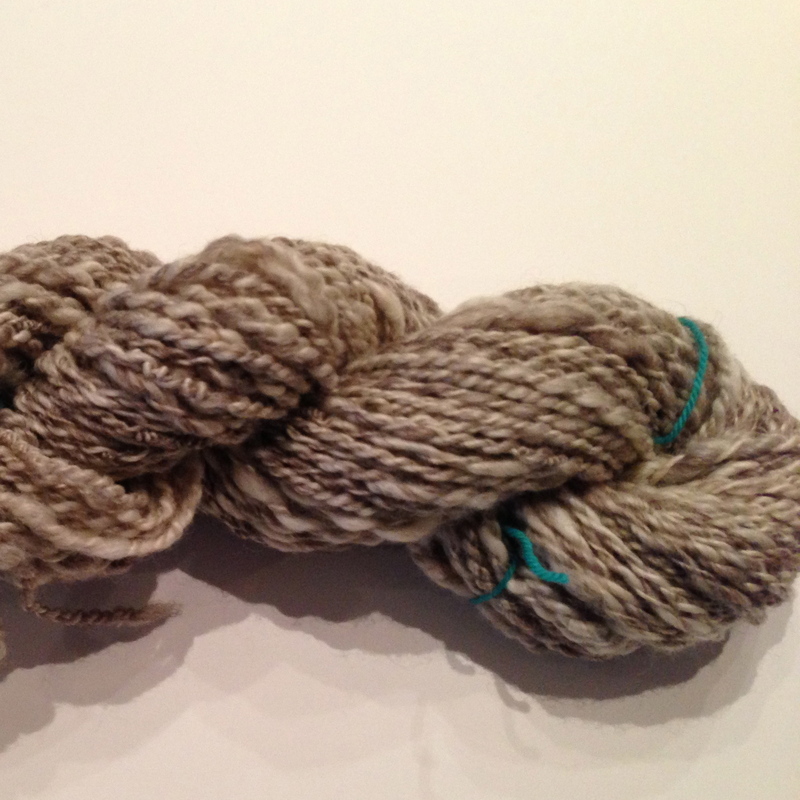 The first yarn I made was a 2ply yarn from a BFL top. My singles were underspun in places, and overspun in places. and plying was a bit uneven. 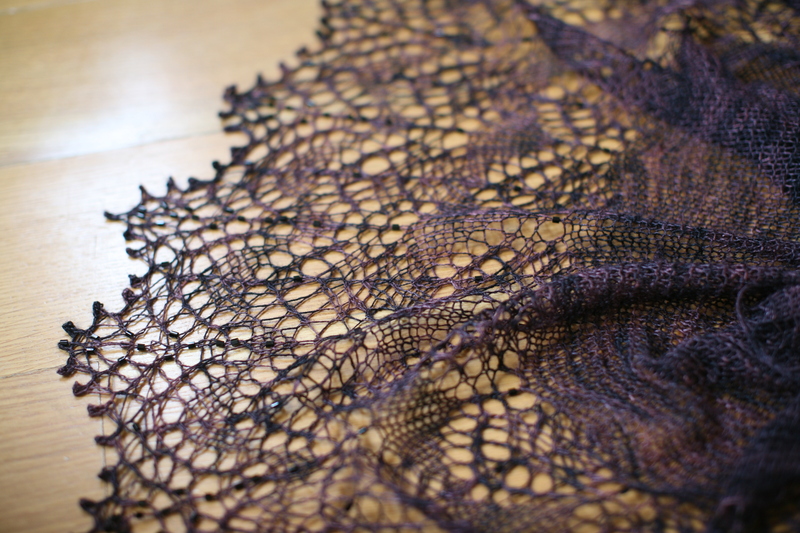 It’s still tough for me to see the smaller flaws in the skein, particularly as I was plying. 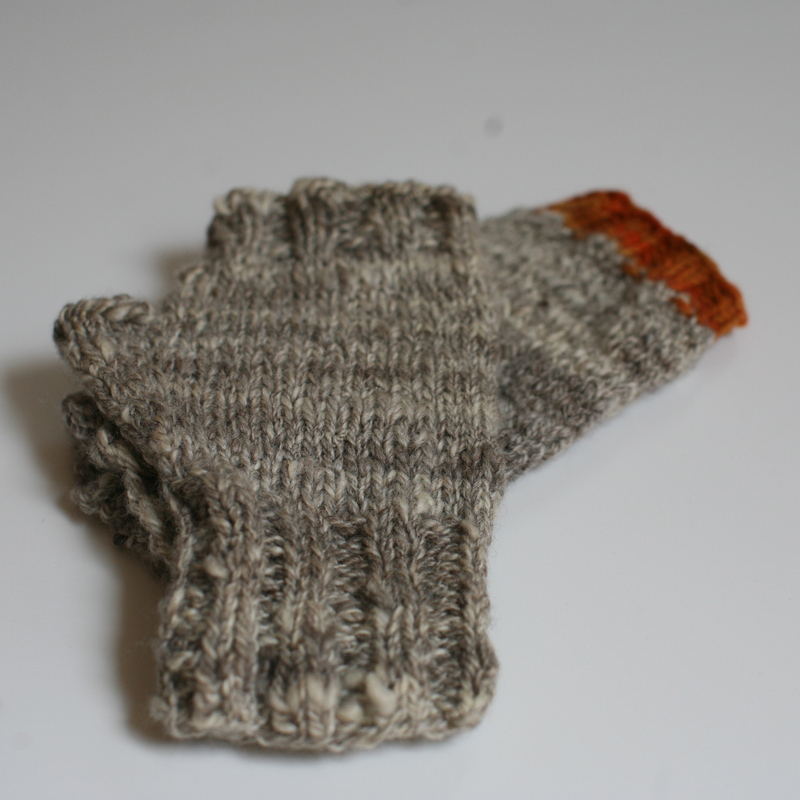 I’m glad I knit with it, though, because I could certainly feel the imperfections and how I would have preferred to have the yarn after I knit it into a pair of fingerless mitts. Of course, I needed to try to make a 3 ply yarn. 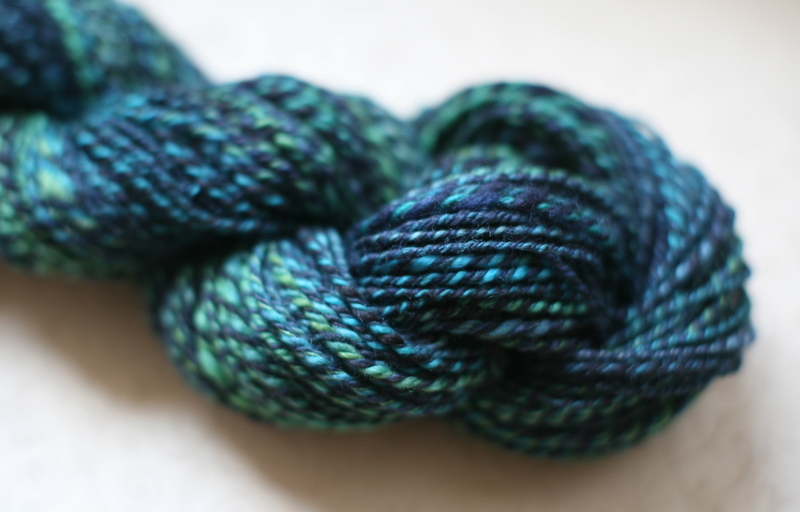 I like rounder yarns, and….well, why not? 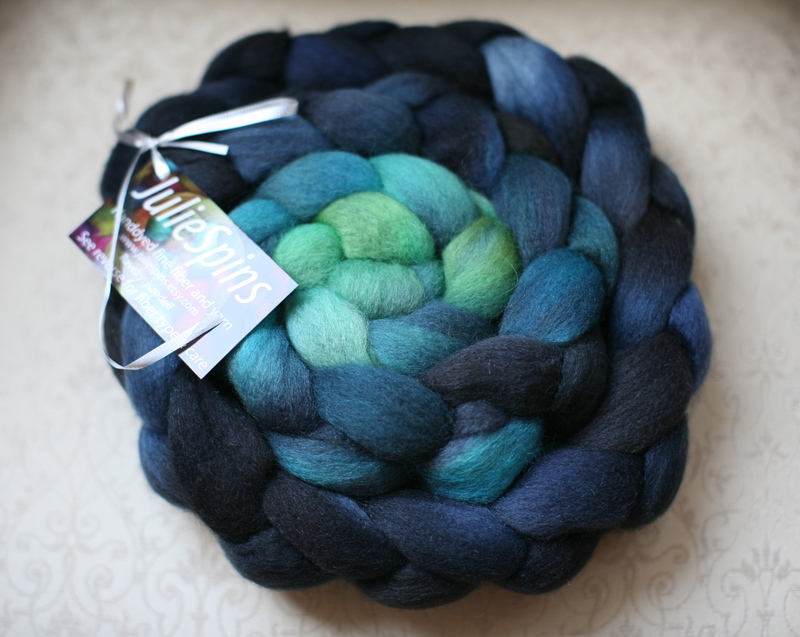 This time, I started with a beautifully dyed braid of 85% BFL and 15% from JulieSpins. And while the spinning and plying certainly was far from perfect, I was able to make a yarn that was a bit more presentable….and a bit easier to knit. It’s now a cowl, with a little bit of indian cross stitch on the ends (great pattern, it’s Elis by Reiko Kuwamura). I didn’t mean to, do this on purpose (because I am very far away from spinning with a purpose!) 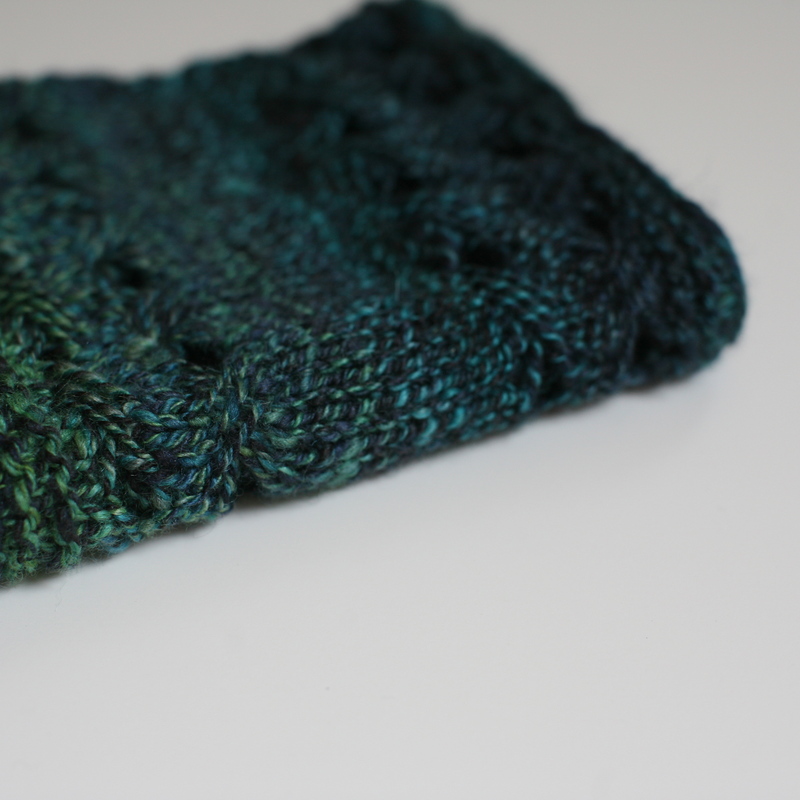 but the cowl is nicely graduated in ocean colors and goes from deep blue to a green. I clearly have a lot to learn and have a massive list of questions for Maggie Casey next week!! I’m so excited!